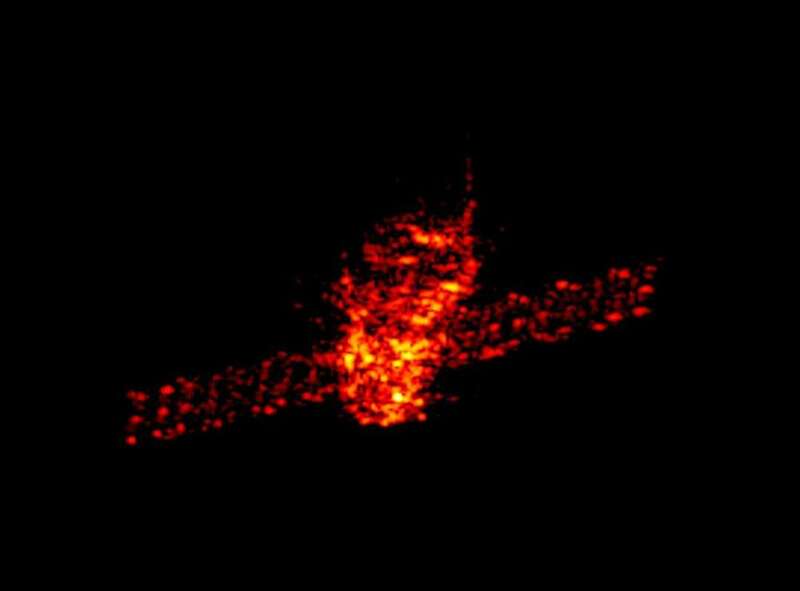 Scientists from Germany have taken new radar images of the doomed Chinese Tiangong-1 space station, which may re-enter Earth’s atmosphere in a few days. The team from Fraunhofer Institute for High Frequency Physics and Radar Technology (Fraunhofer FHR) in Wachtberg used the Tracking and Imaging Radar (TIRA) system, which has a large antenna, to track Tiangong-1. The images show the space station, believed to be out of control, from a couple of different angles. It is about 10.4 by 3.4 meters (34.1 to 11.2 feet) in size, and weighs about 8,500 kilograms (18,700 pounds). They show that that the station is still intact, while we can also see the natural rotation of the space station. “Following the loss of radio contact with Tiangong-1 in 2016 and due to the low orbital height, it is now inevitable that the Chinese space station will re-enter the Earth's atmosphere,” the team noted in a statement. 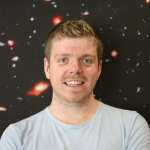 At the moment the best estimates suggest the space station will re-enter Earth’s atmosphere some time on April 1 or 2. It is currently at a height of about 200 kilometers (125 miles), but dropping by about 4 kilometers (2.5 miles) every day. While the station is by no means the largest man-made object to fall to Earth, it is still big enough that some pieces may make it to Earth’s surface. Its orbit is between 43°N and 43°S, which takes it over places like the US, most of South America, Africa, China, India, and Australia. 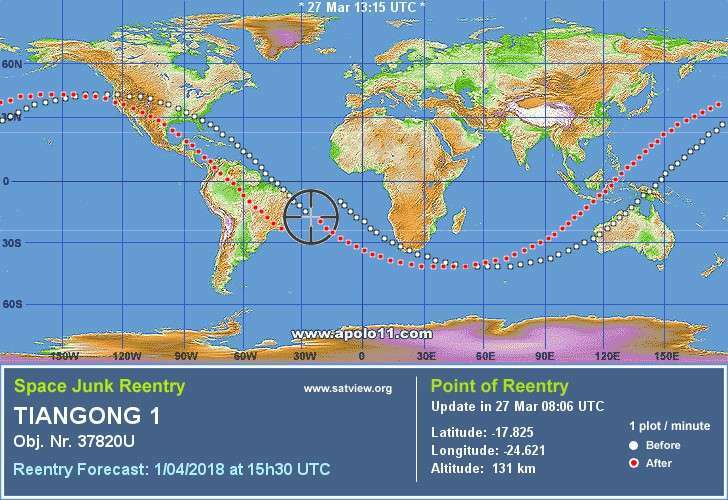 On Easter weekend, when it is thought it will re-enter, it will spend most of its time over the ocean, but will also brush Brazil, South Africa, and Indonesia. If any pieces do land on the ground, people are advised not to approach them as they could contain hazardous materials. The chances of it landing in an inhabited area though are extremely slim. Still, it’s become a pretty high-profile re-entry. Radar images like this give us a last glimpse at the station, China’s first attempt at a space station, before it returns to Earth. Now we’ll just have to wait and see where it ends up.